Over the past year, Daniel Cormier has gone on record to say that he wants to fight Brock Lesnar in the octagon. Things escalated when Cormier called out Lesnar after his fight with Derrick Lewis at UFC 230. Lesnar, who was in attendance that night, rushed into the octagon and proceeded to shove Cormier. 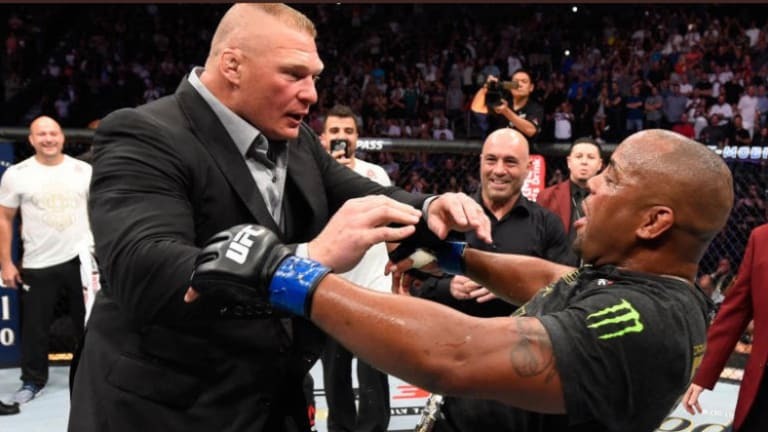 During a recent interview workbook ESPN, Cormier stated that he may appear at WrestleMania in 3 weeks and cost Brock Lesnar his Universal Championship. We reported in January that WWE and Cormier had interest in working together, however, road blocks have been in the way before both sides can work something out. Cormier has been a huge WWE fan and has expressed interest in working with them once his MMA career comes to an end.